Coming from people who take photography seriously and devote much of their life to the art, we’ve all come across someone (or someones) who either have little value for the profession or consider taking photos as something ‘anyone’ can do. 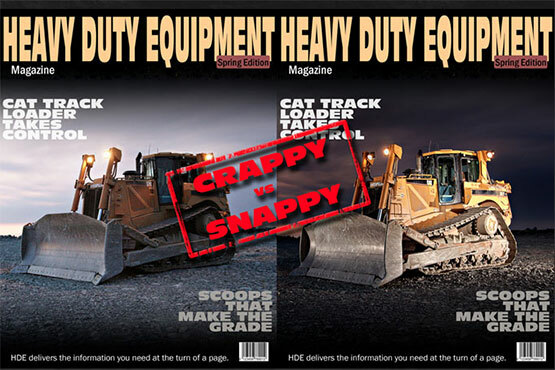 In his series Crappy VS Snappy, industrial photographer James Hodgins essentially took this idea, rolled it into a newspaper, and smacked these belittlers on the nose. When questioned about the value of quality photography, James presented a juxtaposition of simply snapping a picture versus hiring a professional to light, set-up, and compose a setting. The outcome? A real-life, straight-forward crash course in reality as to why you should hire a professional. 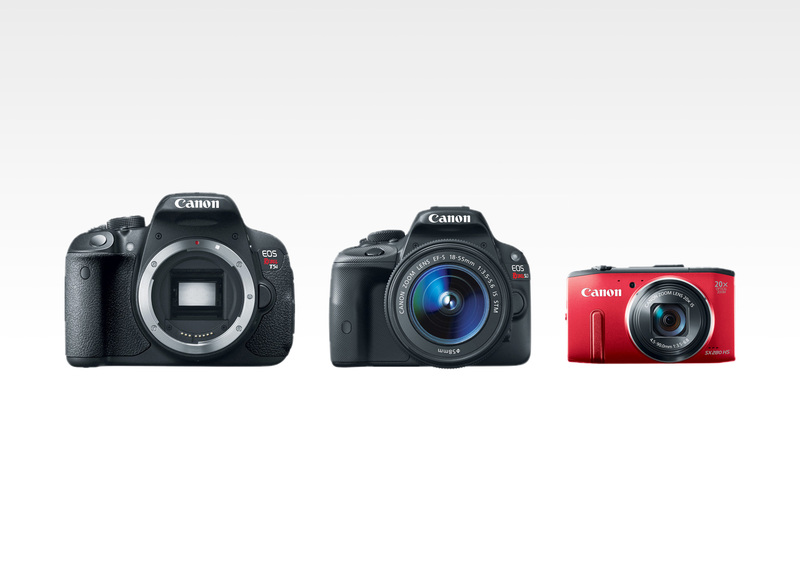 Canon released three new items cameras this week in the form of two DSLRs and one PowerShot. The T-Rebel line received a refresher with the Canon T5i (body only $749) available with a newly designed 18-55mm ($899), or 18-135mm ($1099) kit lens. The T5i will has an 18.0mp CMOS sensor, DIGIC 5 Image Processor, 5.0 fps burst, 9-point AF system, and ISO range of 100 to an expandable 25600. Canon’s Rebel line will also add an entirely new series to the family, the Canon EOS SL1. With the same image processor and sensor as the new T5i shooting at 4.0fps, the Canon EOS Rebel SL1 is the worlds smallest and lightest DSLR to date weighing in at a mere 14.36 oz (body only) — that’s 25% smaller and 28% lighter than the T4i. Lastly, the Canon PowerShot SX280 HS is added to the compact line-up offering a 12.0mp sensor, 25mm wide lines, and built-in WiFi allowing you to transfer images to your social media platforms through Canon iMAGE Gateway, to a PC, or to an iOS/Android device via the Canon Camera Window app. DxOMark recently released anoter comparison of different telephoto lenses showing the best telephoto/D800 combos according to their measuring methods. Of the tested telephoto ranges, there are reviews for the ever popular 70-200mm range, 70-300mm range, and a super-zoom class of up to 400mm. Again, their breakdowns include the price, DxOMark Score, and a short review of the top few of each lens group. For the best results, they suggest sticking to the 70-200mm range as the optimal choice for image quality.